Safe, reliable and dedicated, we deliver peace of mind to over 90 UK charity retailers. Already in use in hundreds of charity shops across the UK, our charity EPOS systems gives you greater control and better visibility in every area of stock control, sales reporting and Retail Gift Aid. Whatever system you currently have, upgrading or switching to EPR Touch is straightforward. Charities find it easy to integrate, volunteers and staff will find it easy to use and, when combined with our expertise in interpreting and presenting the data, it gives you full control of your business. Our flexible technology also allows you the opportunity to mix and match processes to individual stores. Designed with volunteers in mind, the EPR Touch till looks good and is easy to use. Simple to use for both staff and volunteers alike, the EPR Touch till is also cleverly collecting all the data you need at the point of sale. Individual donor ID is included in barcodes attached to each label, resulting in a saving on administration and time. Contactless payments are fully supported including Apple Pay, Android Pay and Samsung Pay. 100% control of your Gift Aid revenue – including capturing, claiming and keeping records. 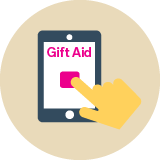 Combining a smart, secure EPOS system with an integrated Gift Aid solution ensures that all Gift Aid is collected on qualifying items sold, without exception. In addition, our automated claiming process means that all monies claimed are verified and recorded for HMRC purposes providing a fully hosted, end-to-end solution for charity retail. The system delivers a full trading picture across all stores, sending daily alerts straight to your inbox. EPR Touch includes an extensive reporting suite covering both strategic and tactical reports on Retail Gift Aid; sales and space management plus new goods stock management. The software includes a ‘Report Builder’ function allowing you to customise the information to suit your needs. 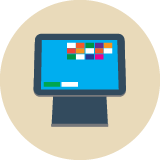 Eproductive’s consultants will help you make the most of the information you receive. 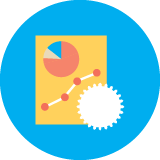 Producing piles of data is common to any software system but the interpretation of this data is what makes EPR Touch different to other EPOS products. Reports are presented a number of ways to provide efficient extraction of relevant data for busy retail management and administrators. With first-hand experience of charity retail, our consultants know exactly how to deliver the information you need – saving you time and effort on costly analysis. Our highly experienced charity experts are here to help at no extra cost. 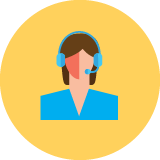 Our customer service support is much more than merely a help desk. The service includes account management, technical support, research, workshops, infrastructure management and ongoing product life cycle development – all part of the product with no hidden extras. 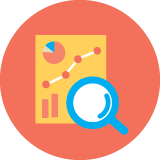 Our experts come from a charity retail background and are trained to give expert advice to help you get the best out of your data. From the point of installation, through change management, training and beyond, they are there, at the end of a phone, 365 days per year, and come as part of the package. Maintaining contact with donors has a major impact on loyalty. Donors are the lifeblood of the charity retail system, so engaging with them is key. 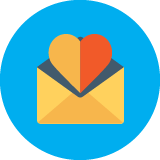 Every week, Eproductive sends out over 25,000 ‘Thank You’ emails on behalf of our clients to existing donors acknowledging their donation and keeping them in touch. Paperless system to ensure quick, hassle-free sign up for new Gift Aid donors. 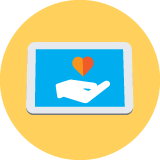 By using tablets instore, sign up for new donors and checking repeat donors eliminates the paper and allows complete security of data. Our till also prompts a ‘donor check’ (with unlimited Royal Mail postcode look up and validation included) to maximise the capture of gift aid on stock donated and verify donor details with the donor present. 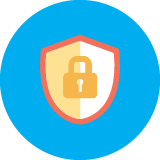 Eproductive clients can further encourage donors to update their details directly using our secure website, mygiftaid.com – ensuring best practice in terms of compliance. Full training for staff and volunteers is included, plus access to nationwide workshops. Built as a system designed with volunteers in mind, EPR Touch is easy to train and we do this for your staff and volunteers as part of the implementation process. 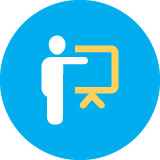 In addition, as an Eproductive client, you will be able to access for free the workshops we run nationwide on current topics, such as Gift Aid Training, GDPR and other relevant issues. 100% peace of mind through guaranteed secure networks. Your data is securely transmitted and stored in our UK tier 3 data centre which has the following redundant components: power supplies, fire suppression and cooling systems, network links, servers, disks, firewalls and switches. In addition we have 24 hour on-site physical security and our environment is penetration tested annually for extra piece of mind. Full client data backups are taken daily and then sent to an offsite storage location for added protection. I would like to discuss my enquiry - Please call me back.